We are the Sheffield University Beekeeping Society, the proud owners of two hives! Our aim is to give all students an opportunity to experience beekeeping hands-on and learn more about the fascinating lives of bees. Because bees play such a vital role in nature through pollination, we also campaign for their conservation and for bee-friendly gardening. We hold regular weekly inspections on our hives which anyone is welcome to come along to. Some of these hive inspections will be Give It a Go events, where you will be able to see inside the hives to get a feel of how they work, and hopefully meet the queen! We have bee-suits available to wear, so don’t worry about getting stung. We also extract and jar our own delicious honey, which will be on sale in the Students’ Union and New Roots. We regularly run social events too, allowing you to meet everyone from experienced beekeepers to novices. Once a year, we offer you the chance to complete the Sheffield Beekeepers’ Association beginner’s course, which will teach you all you need to know about managing your own hives. This takes place in February/March and is heavily subsidised by us, but places are limited. For the upcoming academic year 2018/19, we are sponsored by The Beehive pub on West Street. This will make our socials more exciting, with regular pub quizzes, bar crawls and the occasional meal. Everyone is welcome at all our events, which we will post on our facebook group (University of Sheffield Beekeeping Society)! 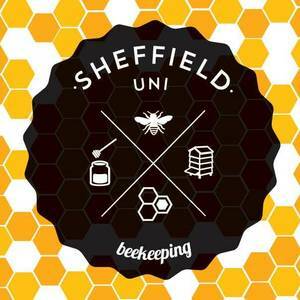 You can also sign up for our regular emails by getting in touch at beekeeping@sheffield.ac.uk. Our lovely new commitee for 2017/2018 is working hard on getting a new website up and running with information and events, so watch this space!